UI Media Network hosts a daily radio show where we delve into news that mainstream media neglect. Tune in to listen to thought-leaders from around the world. The Good Intentions Show - Would You Believe Me if I Told You? “Awaken Atlanta” is a 3-hour live morning talk show hosted by Shannon McVey, and Tim Ray. Awaken Atlanta tackles current events, news, and sometimes controversial topics and puts a mindful, conscious spin on them. The show hosts are not afraid to touch on subjects that other media outlets may stray ... See More away from. This lively, funny and informative show is not like your typical morning show, you’ll have to tune in to find out why! Viewers can tune in LIVE 6 am ET- 9 am ET M-F and watch the show live or listen anytime on the station's app UiMediaApp.com or Facebook Live @ United Intentions Foundation and on Spreaker, Soundcloud, I Heart, Blog Talk, Talk 10 FM, WDJY 99.1 FM, WMTA 107.3 FM and many more! Join Maria Walden-Sullivan as she takes you on a journey of self-improvement and self-discovery to make the world a better place! From non-profits to high-level executives, she brings in people who are making a difference in the world who can help others on their journey to improving themselves. Catch her live every other Wednesday at 4 ... See More PM EST on the UI Media Network. Join Dawn Worthey as she interviews high profile guests on a feel-good show. Each episode offers insights to some of the most influential and heartwarming individuals making a difference in the world. Catch her live Thursdays at 6 PM EST on the UI Media Network. Atlanta based psychic Beth Peters welcomes psychics, intuitives, and everyone in between to discuss the psychic realm as well as do psychic readings live on air! Listen to her every Monday at 3 PM EST on the UI Media Network. Join Michael Litten “The Last DJ” as he interviews Roswell Ga’s finest musician, artists and everything between! 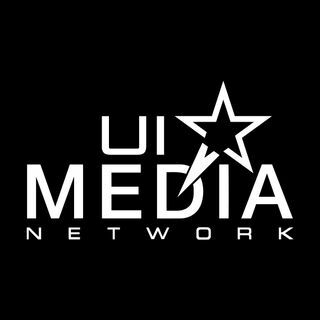 He showcases talent and gives them a platform they need to hop on their wave and ride the vibe every Friday at 6 PM EST on the UI Media Network. Join educators Megan Sweet and Susan Adrien as they “school” their listeners on the latest news and techniques surrounding education. Their combined 25 years of experience offers them insights into the educational world that provides valuable information for educators and parents ushering in the new generation of mindful children. Catch ... See More their show Fridays at 4 PM EST. Join Katharine Pike, as she interviews wonderful people from all walks of life that are manifesting the life they truly desire! Through the law of attraction, these individuals share their experiences and life's story on how they've achieved their dreams! Listen to her every other Tuesday at 1 PM EST on the UI Media Network. Join Gloria Parker, the psychic bartender, as she reads your birthday numbers to reveal your life path, your personality, and your best future! Call 678-495-4345 and ask her questions about your numbers live on the air! Listen to her live every Thursday at 4 PM EST on the UI Media Network. Join intuitive visionary and psychic Cheryl Andrea as she teaches innovative techniques to raise your children in a modern family setting. Each show, she’ll talk with psychics, intuitives, and higher-conscious individuals to share their experiences in the metaphysical world, and family life! Catch her show Mondays at 6 PM EST. We will discuss the power of intentions, the science behind intentions, and how to use our free online community to help you create the life you desire. Join integrative dentist, Dr. Amy Dayries, as she introduces the concept of whole healing. It's a show dedicated to teaching others how to heal your body the natural way. She brings on other dentists and medical professionals who implement naturopathic techniques in their practice to show others that you too, can heal yourself the ... See More natural way. Listen to her live every other Thursday at 6 PM EST on the UI Media Network.